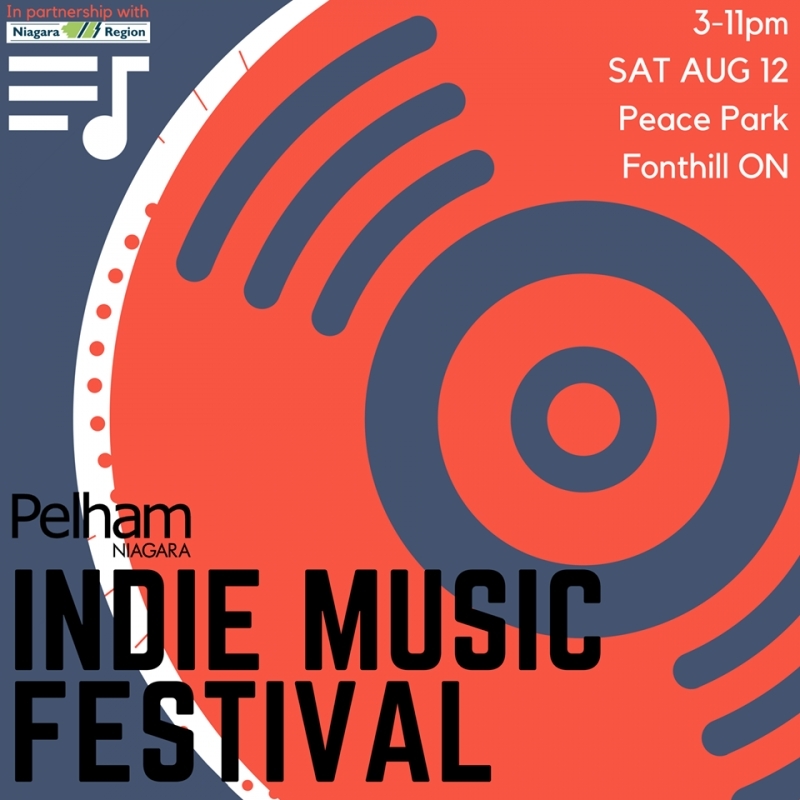 Fonthill’s Peace Park will swoon, sway, shimmy, and shake as the Town of Pelham hosts its first ever Indie Music Festival. 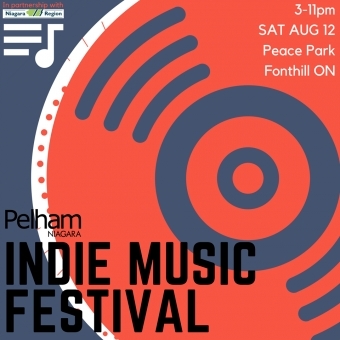 Thanks in large part to the Niagara Investment in Culture program, this one-day event – on August 12, 2017, from 3-11 p.m. – celebrates original art and live music performances by local artists, allowing residents to connect with the rich and diverse culture residing in their own backyard. Welland native Spencer Burton headlines the event, and is preceded by Cameron Lee, Mary Lou Minor, Too Much of John, Ron Whitman, and Jessica Wilson. There are still opportunities for local artist to set up in the park to promote and sell their pieces. Interested parties should contact Jodi Hendriks (jhendriks@pelham.ca). The fully licensed event is brought to you by Kame & Kettle, 26 Acres Cider, Vineland Estates Winery, and local food vendors, with sponsorship from Contour Foot Care and sound and lighting set up by Riothill Studios.